Is it just me, or are there other people who feel the urge to hibernate in these cold months? I want to snuggle in the warmth all day long, with a stash of comforting food and some great books until the weather improves and my energy levels rise again. Well, I can dream . . . Hiding away is not an option, but comforting soups and great books are. 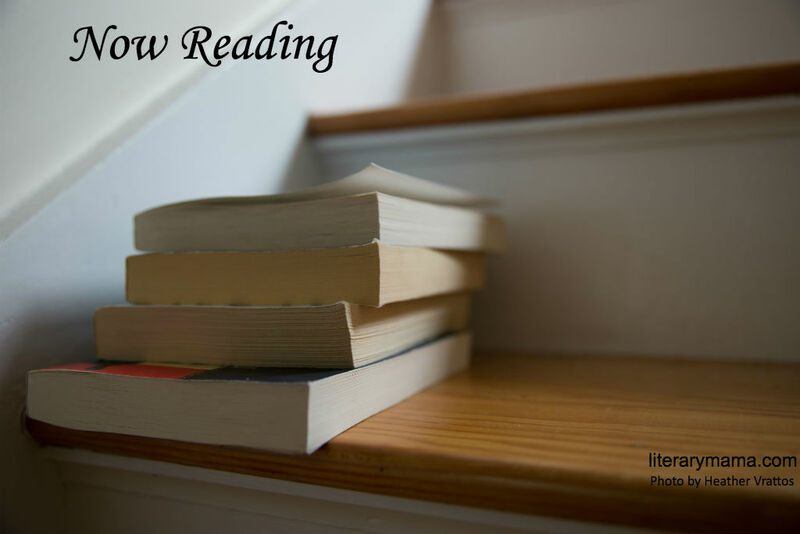 Here are some recommendations from the Literary Mama staff for inspiring winter reading. Abigail Lalonde, Social Media Editor, was profoundly affected by a character from her latest read. 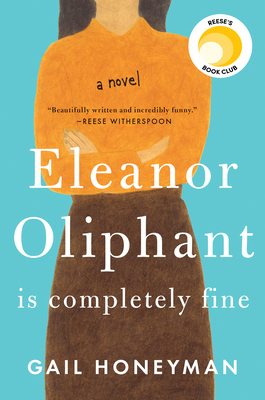 "I recently finished Eleanor Oliphant Is Completely Fine by Gail Honeyman and I am thoroughly smitten. This book made me realize how much I prefer a character-driven novel, especially when written well, and this book is both of those. From the beginning, I found myself chuckling at Eleanor's awkwardness, but by the end, I couldn’t help but cry at her transformation. The book is both a comedy and a tragedy, mimicking the rollercoaster of life and emotions with its first-person narrative. Honeyman spends most of the book developing Eleanor through her interaction with other characters. Nothing huge happens and the plot isn't fast-paced, but I found myself immersed in the book, finishing it in just over two days. After finishing, I took some time to reflect on how I see other people and often judge them without knowing much about their circumstances. I'm happy to say that Honeyman made me realize that I need to soften my judgments and understand that everyone is going through something. I believe the character Eleanor has forever changed me for the better. I'm having a serious book hangover after this one, but am now looking forward to the forthcoming movie adaptation by Reese Witherspoon." Literary Reflections Editor, Andrea Lani, has been reading up on one of her favorite crafts: "The deep freeze that settled over the United States over the last few weeks made for perfect weather for two of my favorite activities—reading and knitting. While the hat I finally finished after a year is keeping my head toasty, two books about knitting have been warming me from the inside. 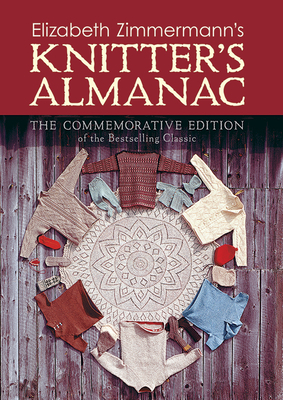 For Christmas I received a copy of the 1974 classic Elizabeth Zimmerman's Knitter's Almanac, which takes the reader through twelve months' worth of projects, accompanied by engaging stories about each one. Even if I never knit a mystery blanket or 'nether garments,' my outlook on the craft, and life, will be forever changed by Zimmerman's encouragement to be brave, try new things, and make a swatch. 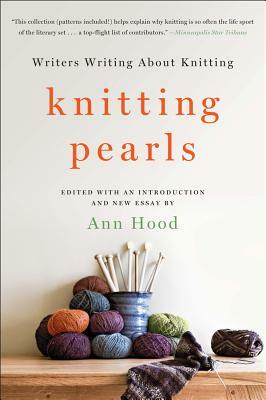 I've had the second book, Knitting Pearls: Writers Writing about Knitting, edited by Ann Hood, since last Christmas. This January finally felt like the perfect time to read the essays by best-selling writers, from Steve Almond to Lee Woodruff, about their experiences knitting, or not knitting, or growing up among knitters. Each essay is unique and moving and, taken together, they inspired me to take up my third favorite cold weather activity—writing. Stories of my grandmother's slippers, my other grandmother's afghans, my mother's sweaters, and my own uneven knitting history are taking shape alongside plans for my next knitting project—preferably something using much larger yarn and needles than that darn hat." 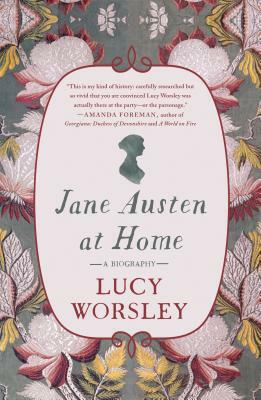 Libby Maxey, Senior Editor and Literary Reflections Editor, was both surprised and inspired by this book: "I recently finished reading Lucy Worsley's biography, Jane Austen at Home—and then immediately started in on it again, in hopes of absorbing more of it the second time around. Although I've never been one for the cult of the author, Worsley's detailed and sensitive reconstruction of Austen's various places of residence made me want to get on a plane to England and follow up my reading with some literary-historical tourism. I was surprised again and again to realize that, as one long steeped in Austen's small oeuvre, I had assumed that I knew more about her life than I really did. Worsley sheds light on various aspects of Austen's novels that were likely influenced by personal experience, but also by the experiences of those around her. It also situates Austen's aspirations as a novelist in the context of her domestic life and the world of literature to which she had access. Further, it has a great deal to say about the question of her famous spinsterhood, which turns out to be complicated by circumstances far beyond my original assumptions. Without sensationalism or excess gushing, Worsley creates a vivid and engaging portrait of both the beloved author and also the author's large family, which helped, for better or worse, to make her who she was." Which character, person or craft has been a great inspiration to you? We'd love to hear in the comments below.